Dramatic monochrome hair pins which ooze old Hollywood romantic glamour. A collision of vintage and modern influences, our Ebony Elegance Hair Pins will impress you with their versatility. A hint of Old Hollywood glamour, a touch of 60s chic and a little contemporary charm come together to create these timeless black hair accessories. Featuring a single deep jet pearl encased with sparkling clear crystals, these double prong silver tone pins will dress your up-do for every occasion. Whether nestled in a feminine side chignon, a playful backcombed beehive or a classic French pleat, Ebony Elegance make the chicest of style statements. 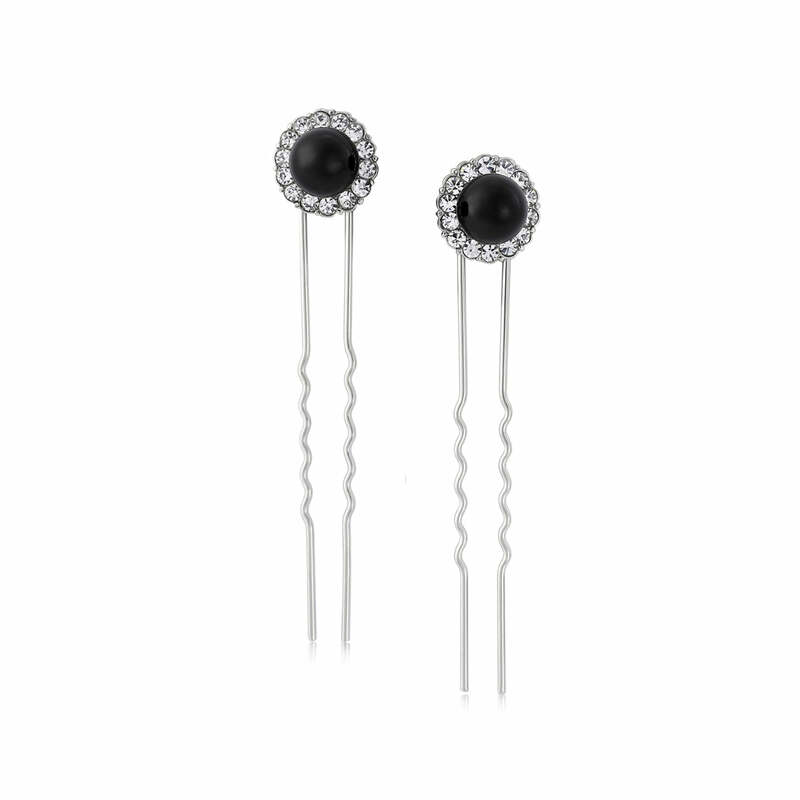 The answer to the style prayers of Brides looking for black hair pins to enhance a monochrome or Hollywood wedding theme, these are utterly perfect to complement black bridesmaid dresses whether short and sassy or classically long. For added drama, coordinate with our matching collection for fabulous wedding day style.